This is a brilliant series that centers on the Godman family that once ruled the underground in Russia but was toppled by Vadim Kalyagin (Merab Ninidze) and forced to flee the country to begin a new life in England. Many years later, an attempted murder to Vadim as a revenge that gone sideways left the Godman family vulnerable with a death and their lives threatened. 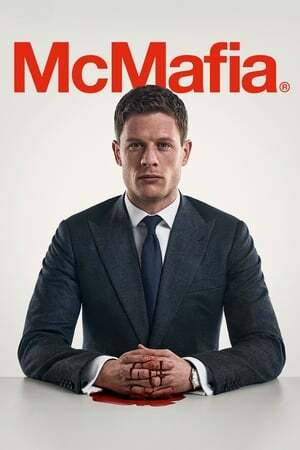 Alex Godman (James Norton) a son raised as an Englishman with his own Hedge Fund and determined to make amends was able to find allies who want to hurt Vadim by crippling his business through money laundering and paying off government officials and boosting his competitors in the process. We get exposed to the intricacies of mafia life and the different branches and avenues one is exposed to. With an international cast and location filmed at London, Tel Aviv, France, Moscow, India and Prague the audience gets transported to these fabulous places as we feel the story and all its excitement and danger. It’s fast paced but there are also some slow, emotional scenes and graphic violence but that’s expected with the topic it deals with. Ironically, the core of the movie is about family and what one does to keep family safe. A thrilling, suspenseful, dynamic dramatic series that’s character driven and presented in a sleek, savvy fashion.